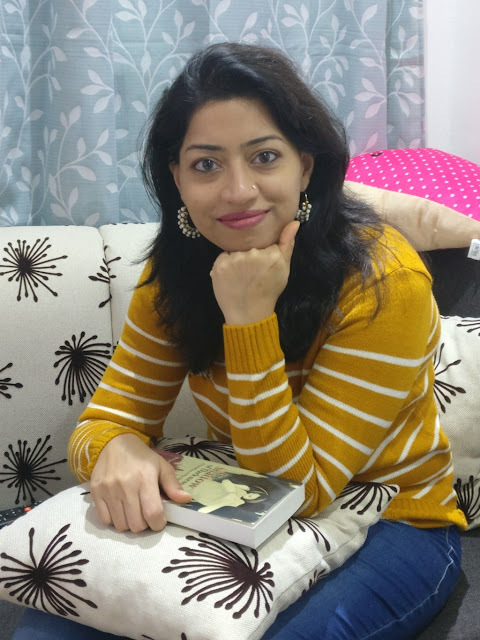 Priyanka Baranwal, author of the books The Shadow Of Darkness and It's Never Too Late recently spoke with us and answered the interview questions. To read more about her book The Shadow of Darkness you can visit Book Review : The Shadow of Darkness - Priyanka Baranwal. Q: A published book is all the hard work coming to life, how does it feel to hold a copy of your book “The Shadow of Darkness”? A: Holding your own book is always a great feeling. ‘The Shadow of Darkness’ has taken some time but it’s out and I can’t be more proud. Q: Can you tell us something about the things or factors that made you write “The Shadow of Darkness”? A: TSD is the sequel of It’s Never Too Late, my first book, however complete in itself in every sense. When I was writing INTL, the idea of its successor was already in my head but getting it into a shape was harder than I had imagined. INTL has seen Maya’s struggle but somewhere in that, the little Sejal has suffered too. Children when traumatized in childhood often grow up more sensitive and resilient. Memories fade but they can always have a strong foot onto your senses. We all know it. We all feel it every day, don’t we? While writing TSD, I had to push myself to learn a lot about childhood trauma and its various aspects. It’s quite a challenging subject to portray in fiction. I had to be careful because there are millions of people traumatized by a childhood incident. And my story should feel like it’s one of theirs, and not written for the sake of writing a book. INTL had seen Maya’s story and as an author, I felt it was my responsibility to showcase Sejal’s too. Q: How did you finalize the title, “The Shadow of Darkness” and the cover photo, did you have options? A: Thankfully, I didn’t have to struggle at all for the titles of my books. They drew me to them quite naturally and astonishingly. Also, they make quite a sense. Where you can relate with It’s Never Too Late on almost with daily struggles, The Shadow of Darkness pauses you to think about a subject which is taboo and thus, oozes a curiosity. And who doesn’t like a good curiosity to be satisfied? As for the cover of TSD, my team at Pothi worked diligently on it. I am quite happy with the outcome. It’s one of my favourite book covers. I am grateful to my team. Q: Which of the two books that you have written is your personal favourite? A: Now don’t make me choose. Both books of mine are my favourite. Where Maya stands true to the calling of survival instincts, Sejal stands for all of us who have been dealing with their hidden monsters in daily life. Maya has her family to cope up with the repercussions of the night of October 23rd whereas Sejal has taken it upon herself to do it. Does it not show how strong as a girl she is? Sejal is as inspiring as her mother, Maya. A: I am working on my next. It’s a different take on life that readers will certainly find refreshing. Let’s see what happens next. Q: You took up writing as an intentional move or multiple sequences of events led to writing? A: If you read the section in It’s Never Too Late – From the author’s heart – you will know how I picked up to writing novels. I had been a freelancer prior to that but it was my husband who urged me to write a story and since then, there is no looking back. Q: Being a published author is a different feeling altogether. How do you make sure that this feeling stays alive? A: I keep writing stories and push myself to think differently each time I sit to work. Besides, published books keep the writer in me in place. Also, I play guitar. Along with author pages on social media, I also have a Facebook Musician page and YouTube channel dedicated to my guitar. Music is an integral part of me and possibly the biggest motivation to go on, apart from writing. I also play Dholak. It’s an Indian traditional instrument and i enjoy tapping it away too. In short, being focused and un-focused helps the feeling to stay alive. Q: Your book, “The Shadow of Darkness” is about trauma, thrill and darker shades of the society mostly, why did you only pick these topics to convey your story? A: First of all and quite frankly, I did not choose Crime against women (It’s Never Too Late) and Childhood trauma (The Shadow Darkness) as the themes of my books deliberately. It was simply the demand of my ideas. But as I explore myself more through these, I have actually come to realize that writing thriller is enthralling for me. It’s exhilarating, puts you up at nights, makes you day dream. Writing and reading thriller actually create fire works within my brain network than any other genres. And that’s exactly how alive I would like to feel with my work. Q: Your book, The Shadow of Darkness, is inspired, real or completely fictional? A: It’s a complete fictional book however there are facts about childhood trauma and how to deal with it at the end of the book. I just felt I should take the subject in more real form before the reader closes the book. Q: Your book, The Shadow of Darkness, has received many good reviews, any particular review that made you go wow? A: Apart from being an author, I am also a blogger. I have two blogs – Pages from my life (English) and Pages from my life in Hindi (Hindi). It’s a blogspot domain. I also help my father with writing his speeches on various occasions. I also do some poetry. Though I am not an expert yet I try to thread the current loop of emotions to my best. Have an example. It’s one of my favourites which you can read at The Wine of Loneliness..
Q: Tell us something about the mental transformation you had to while writing for the two books? A: It’s a question that asks for quite a magnificent answer. In simpler words, it needs a lengthy answer. When you write a book, you change. On various fronts. You don’t stay the same person as you were before penning down that first word. First, you come to believe that you can create something. That you have the power of god (at least i feel this way. No offense, please). Creating a story equals making several characters come to life. It’s a heavenly feeling but also a huge responsibility. You have to do justice to each one of them. It was not easy being in Maya’s shoes when i was writing INTL. It was not easy either drawing little Sejal grow up with trauma induced habits and allow her to deal with the past quite unexpectantly. You see, you too born, grow, die and resurrect with your characters. And that’s the biggest and hardest process to go through while writing fiction. Q: If you get a chance to live one of your characters, which would that be and why? A: That’s an interesting question but i don’t think I’d like to be a character from my stories. I am quite satisfied with being their creator. A: Yes. I read. Every day. Or almost every day. There is no perfection in anything. My favourite is Coelho. The simplicity in his writings takes me off guard. It’s inspiring at the same time. He has way more wisdom as an author than I’d ever achieve because one of his books – Aleph - went way over my head but I am sure he writes with heavy inspiration drew from some mystical power. He is my all-time-favourite. Next is Jodi Picoult. A few months back I read Small Great Things and instantly became a fan of her. The way she writes and keeps the reader stay till the end, it’s astonishing. I simply love her. I follow Coelho and Picoult on social media and love to read about their activities and thoughts. I also like John Grisham. Grisham is responsible for getting me interested into law and trials and other courtroom things. I read him religiously. John green. I remember I cried at some points while reading The Fault in Our stars. It may sound silly but I don’t mind. If an author can touch a reader through his words, it’s magical. I also read his other works. I also love reading Hindi novels and my favourites are – Premchand and Shivani. While neither of them are alive but they have created works in time when literature was not as greatly appreciated as it is today. They are still alive through their books. And it’s a fact astounding enough for me to be motivated. I would also like to be remembered for my achievements after I close my eyes forever. A: I own a Kindle and quite happy with it. By heart, i love hard books. The feeling of holding a book is unparalleled but by head, I prefer e-books. It’s eco-friendly and you can carry thousands of books at once in a simple sleek device. Where hard books need light in darkness, you don’t have to worry with Kindle/mobiles. So e-books, definitely. 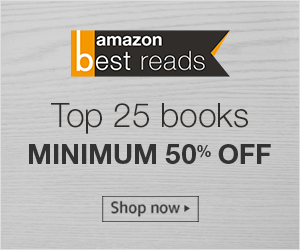 My current read is actually on Kindle – Nineteen minutes by Jodi Picoult. Last e-book I finished was – The woman in the window by A. J. Finn. I believe this one is being made into a movie. Q: If your book, The Shadow of Darkness, is made into a Bollywood movie, who do you think should the lead actors be? A: Let the time come and then we will see. Q: Two things that you like and dislike about being an author? A: Likes – The flexibility. You can write from any corner in the world. All you need is a laptop, good health and a peaceful mind. Another thing I like very much about my work is the kind of control i can have over it. If not written in day, I can always do it at night. Or vice versa. All I need is some discipline. Dislikes – No personal space to write. It would be really amazing to have a personal dedicated space where I can write without any kind of interruption. It’s at-home job which is helplessly jewelled with several other responsibilities. Another thing that i dislike about being an author is, that people don’t take it up as an actual job. You say you are a writer and their faces go blank for a minute. Or may be, I have been dealing with the wrong crowd. But i truly hope this changes soon. Q: If you have to give one reason to our readers to pick up your book, what would that be? A: They are good stories you won’t forget. A: Just a promise. To deliver a better story each time. A: Here are the links to connect on Facebook, Twitter, Instagram, Pinterest, Goodreads, YouTube and my Blog. You can order a copy of the book Amazon, Flipkart and Pothi.